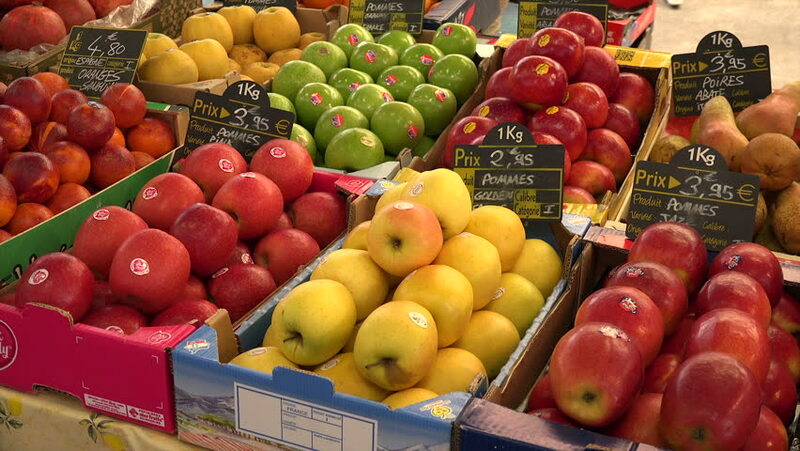 ANTIBES, ALPS MARITIMES/FRANCE - APRIL 29, 2015: Apples and fruit for sale in local market. Every town in France has a local market at least one day a week, in Antibes it is in the Old historic town. hd00:13Closeup Supermarket Fruit Section. HD, 1920x1080.